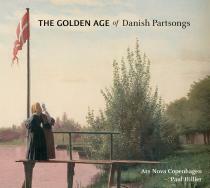 The Danish Golden Age in the first half of the 19th century is known as a period with an abundance of artistic expression, famous talents such as Hans Christian Andersen, Søren Kierke­gaard and early Romantic composers like C.E.F. Weyse and Niels W. Gade. But according to Paul Hillier, we can in fact speak of a continued ‘ Golden Age’ for Danish choral music today – which is why this collection of Hillier’s Danish Golden Age jewels with Ars Nova Copenhagen includes Classical and Romantic works as well as music from the subsequent generations right up until our own time.